Showers of Blessings: Behold, An Author Interview! *Drumroll* Today, I have something very special for y'all! This is my first time participating in a book tour. And I'm so excited! My friend, Faith, is publishing another book! And the best part? I got to interview her, asking her some questions about her new Christmas collection, Behold. I can already tell that Behold is a very special book, although I have not read it quite yet...(hopefully soon, though!) I have read her two other books: Dandelion Dust, and Love Needs No Words. They were both very enjoyable reads! I highly recommend each of them!!! Now, lets begin with the interview, shall we?! 1. Tell us a little about yourself and why you are passionate about writing, what made you first decide to start your self-publishing journey? I’m Faith—a writer, reader, dreamer, coffee drinker, and most importantly, a daughter of the King. Although it took me a couple years and lots of searching to realize it, writing and shining Christ’s light through words truly is my passion. I’ve came to know many indie (self-published) authors since joining the blogging community back in 2015, but I wasn’t sure if I’d ever self-publish or not. It was a bit of a someday-dream. Then, when I wrote what later became my debut novella in late 2016/early 2017, I knew from the start that I would be independently publishing it. 2. What is special about your newest book, Behold? How does it stand apart from the other books you have written? 3. So if I understand correctly, Behold is not just one story, but a collection of stories. How many stories are in Behold? That’s correct! 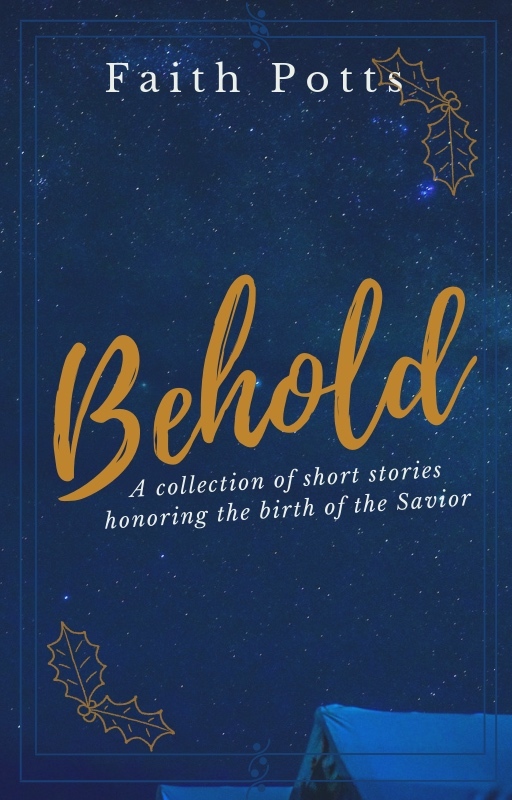 There are four stories in Behold, some historical and some contemporary. They each have a differing plot and theme, with a unique look at Christmas. 4. How long did it take you to write Behold from start to finish? Since it’s a collection of short stories that I didn’t write all at once, that’s kind of hard to say. Some were written as far back as 2015 (but re-worked for the collection! :P), while others were written as recent as this past fall. So about three years, though most of these stories were written in the Novembers and Decembers of those years. 5. What makes Behold a Christmas story? Actually, most of the stories are set the week of Christmas! One in particular happens entirely on Christmas Eve. I strived to show the hope, joy, and love of the Christmas season through each of these tales. 6. What lesson would you like your readers to take away from reading Behold? It’s my prayer that, not only do readers enjoy these simple stories, but that they are reminded and encouraged to take a step back this Christmas. God the Father sent us a Savior that long ago night in Bethlehem, One who would later die for the sins of the world. And He is worthy of beholding. Click HERE to buy Behold on Amazon! Add Behold to your "Want to Read" shelf on Goodreads HERE! You’ll be swept into the Christmas spirit with the endearing stories tucked inside these pages. The storylines range from family to romance to the bond of community, with settings scattered across America and beyond. 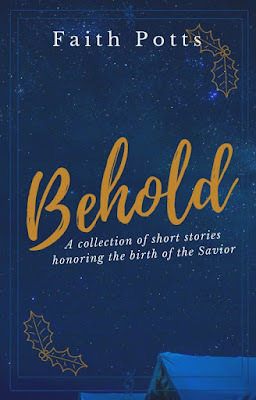 Behold the beauty of the Savior’s birth with this gathering of stories that warm the soul and bless the heart. 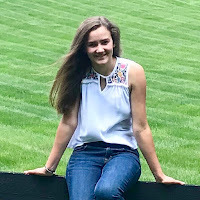 Saved by God’s grace, Faith Potts is a teenage writer and homeschool graduate, living with her family and beloved yellow labs in the North Carolina mountains. 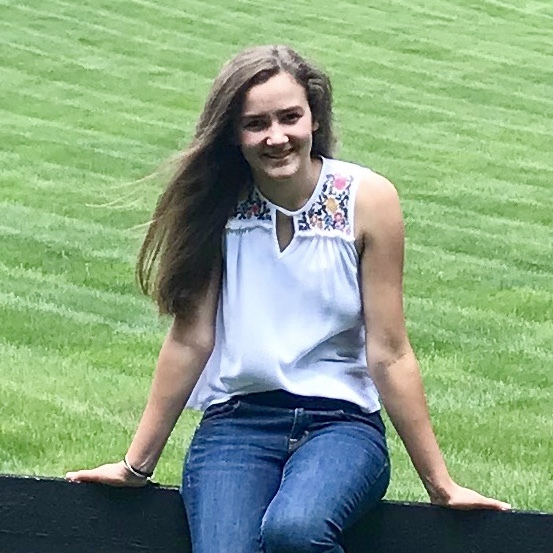 When she’s not weaving stories, consuming large amounts of coffee, reading stacks of books, or studying American Sign Language, she can be found laughing harder than is healthy, daydreaming, and—of course—blowing dandelions. Click on these links to check out Faith's Writing Blog, Faith Blog, and Author Website! You can also find Faith on Goodreads, Instagram, and Facebook! And that's not all! Faith is hosting a GIVEAWAY for the launch of her new book! Enter HERE!! Have you read Behold? Do you like reading Christmas stories? Are you totally excited for this new release?? Let me know in the comments below! This looks like a really great book!!! Great interview! Sounds like a good book. Thank you! Yes, it does sound like a good read!!! Epic interview. Thanks for sharing! That's neat! Loved the interview! By the way, that's so fun that this is your first blog tour! I love your interview, Brooklyne! I've heard so much about this book lately. I will have to check it out.